Curiosities: Series 2 – Storied. STORIED is produced by the Office of the Vice Chancellor for Institutional Advancement for the University of Illinois at Urbana-Champaign. Questions or comments? Email kimsch@illinois.edu. These treasures have been amassed through the hard work and generous philanthropy of countless students, researchers, professors, alumni, and friends. Our campus is home to what now numbers in the millions of collected, created, donated, and unearthed objects from all over the world that are part of the university’s permanent collection. 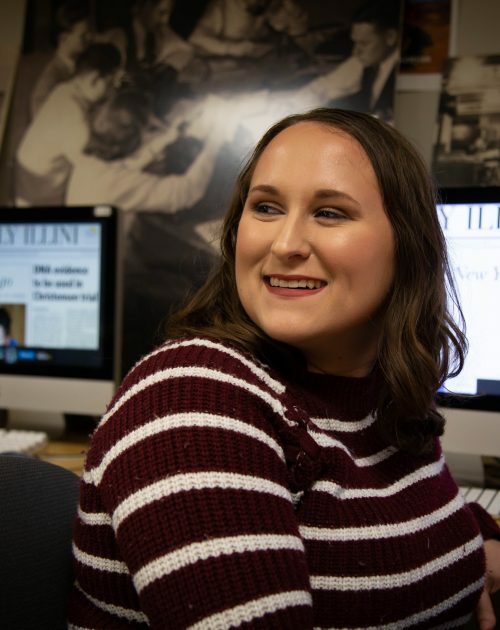 These treasures have been amassed through the hard work and generous philanthropy of countless students, researchers, professors, alumni, and friends. This occasional series uncovers and discovers the fascinating stories behind these curiosities—from items that reflect our natural and cultural history to art collections that represent all eras and mediums to the endless bounty of riches found in our library alone, including rare manuscripts, maps, and books. These materials (displayed in museums and glass cabinets, tucked safely in boxes and drawers) are used by researchers as well as by instructors in classrooms and they do nothing less than tell the story of our collective humanity. 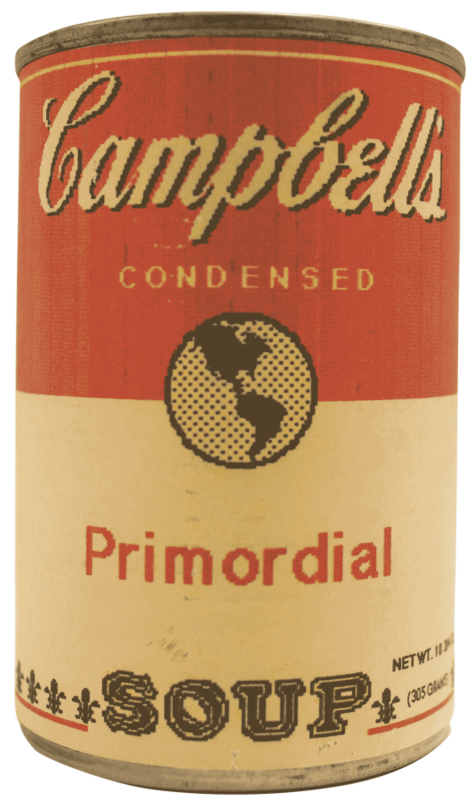 This can of “Campbell’s” soup belonged to Carl Woese. Yes, the evolutionary microbiologist giant on campus—who upended our fundamental understanding of the evolution of life—had an appreciation for the lighter take on his life’s profound work. Physics Professor Nigel Goldenfeld, who worked closely with Woese, was well aware of his good sense of humor and was confident he would appreciate a story that highlighted it. 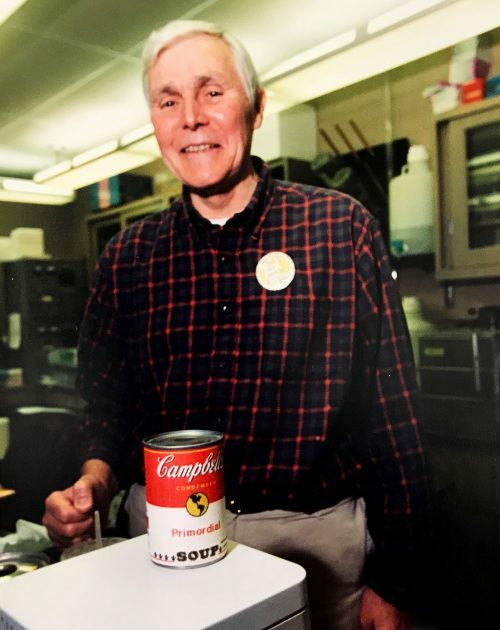 Shortly after Woese passed away in 2012, those he worked with in his lab at the Institute for Genomic Biology, which now bears Woese’s name, gave the contents of his lab, including the can of Primordial Soup, to the university to be archived. 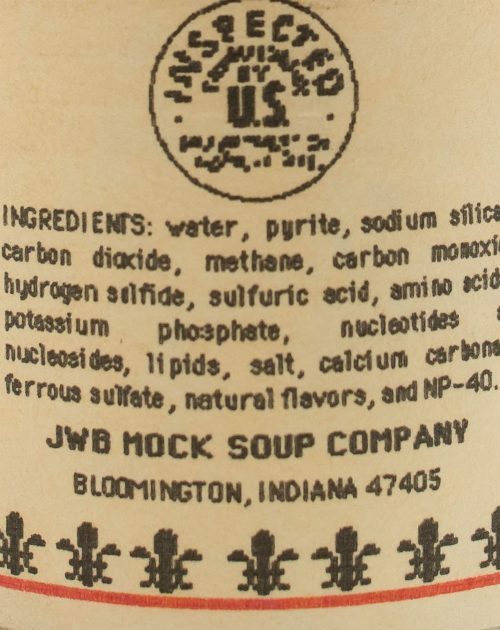 Jim Brown, a biology professor now at North Carolina State University, created the label when he was a post-doc for Norman Pace (LAS ’67), a colleague of Woese’s. 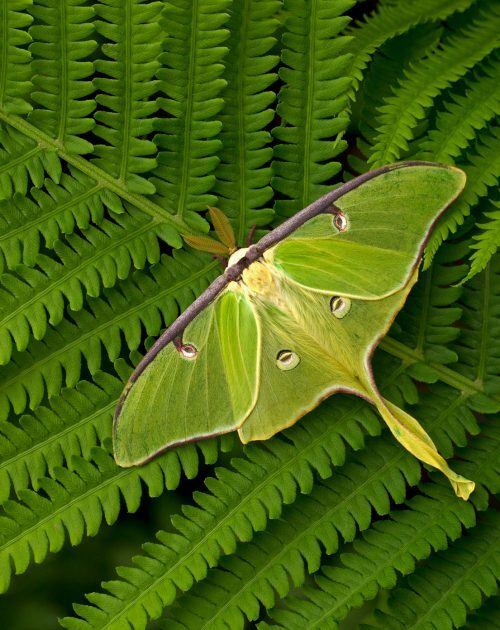 A close examination of his tongue-in-cheek label reveals two competing theories about the origins of life, a nod to the lingering uncertainty about life’s early beginnings. 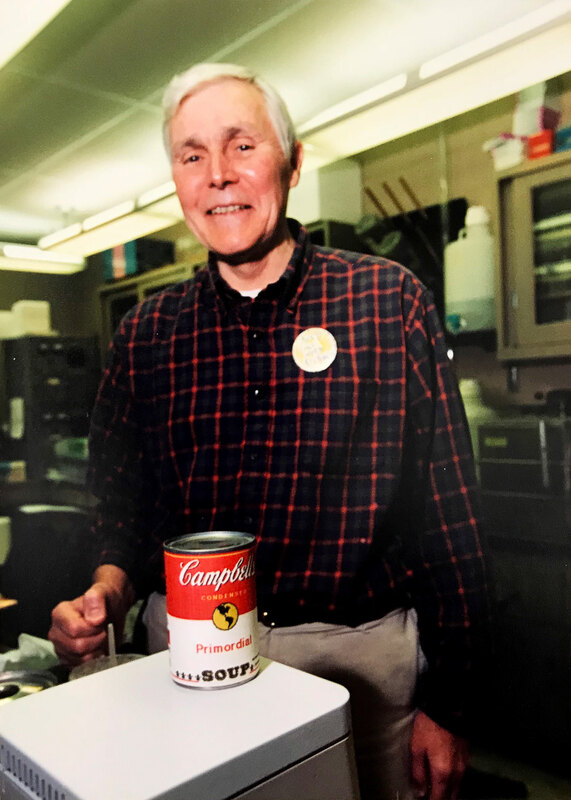 Carl Woese stands next to the Primordial Soup can in this photo taken in 1996 by Chicago photographer Steve Kagan for the New York Times. The print was inside an envelope, in a file, in a box, on a shelf in the archives with an accompanying note from Steve. Today the can is included in Woese’s papers in the University Archives, and is being cared for professionally. 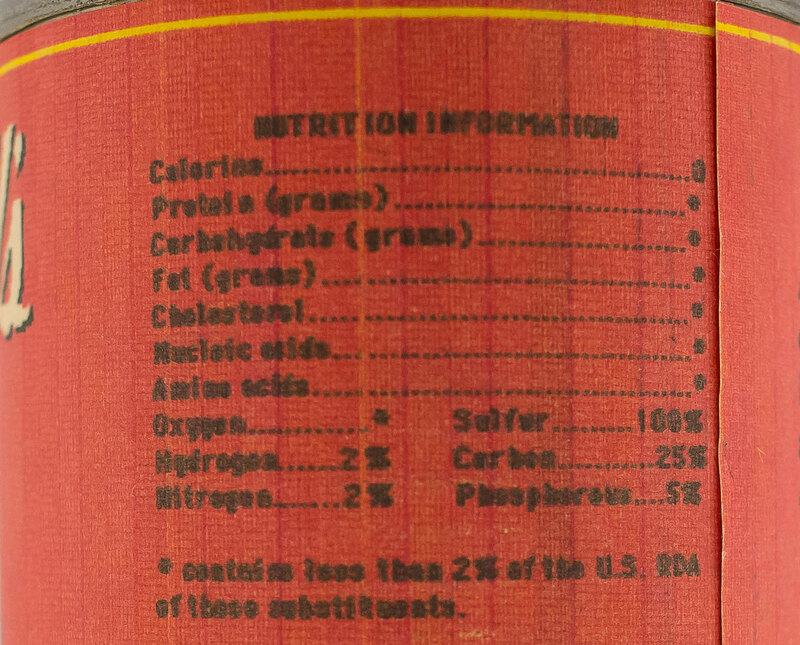 The can’s label incorporates the two competing theories of the the origins of life. 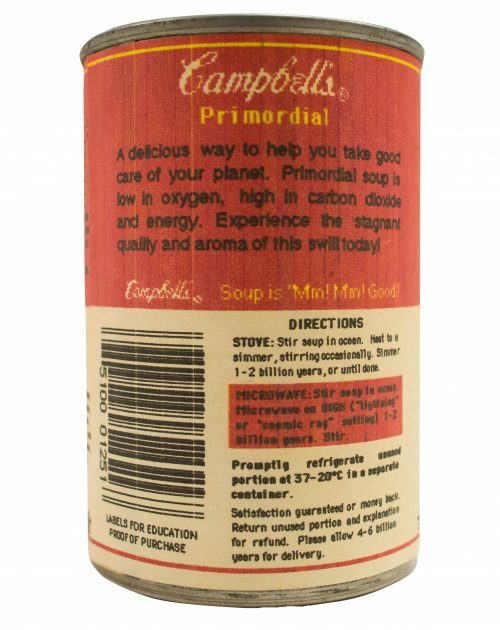 “Primordial Soup” refers to Russian biochemist Alexander Oparin who in 1924 envisioned an organic, rich, soupy ocean that accumulated over time from which life emerged. In 1988, German chemist Günter Wächtershäuser devised another theory in which life on Earth originated as organic material formed on the surface of iron sulfide minerals. 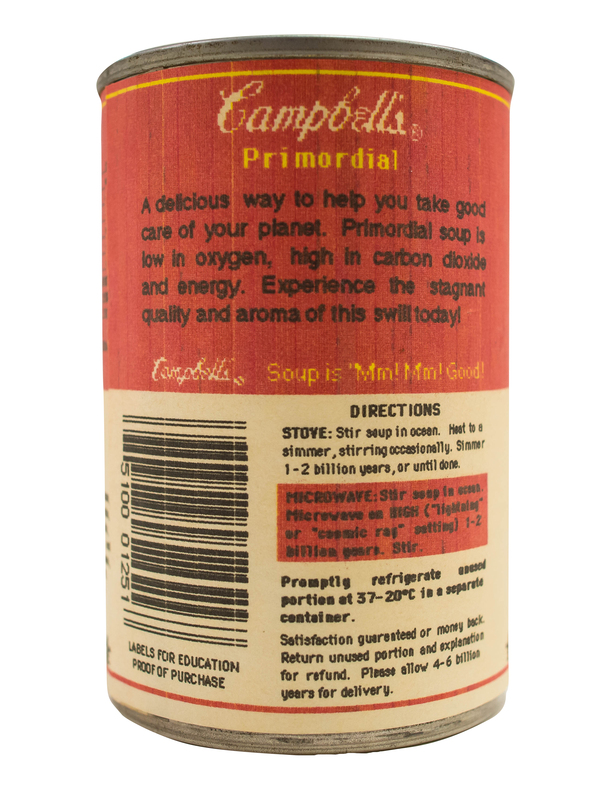 Eighteen ingredients make up the recipe of life in this can of Primordial Soup. 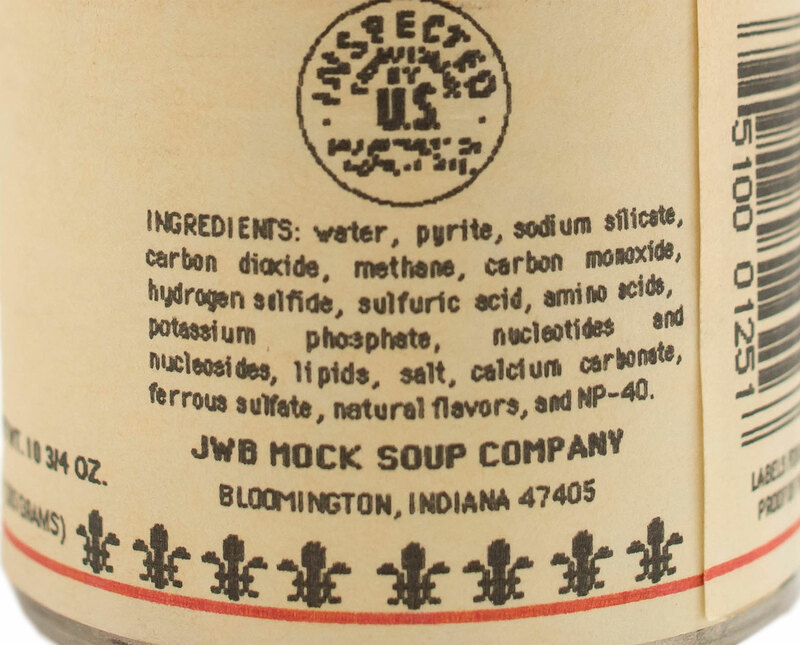 This zero-calorie soup meets 100 percent sulfur, 25 percent carbon, 5 percent phosphorous, 2 percent hydrogen, 2 percent nitrogen, and less than 2 percent oxygen nutrition needs to create life. Out of context and to the untrained eye, this bulbous piece of glass (blackened at one end, wires tethered to the outside) looks like an ornament meant for a holiday tree or a maybe a lightbulb for an antique lamp. 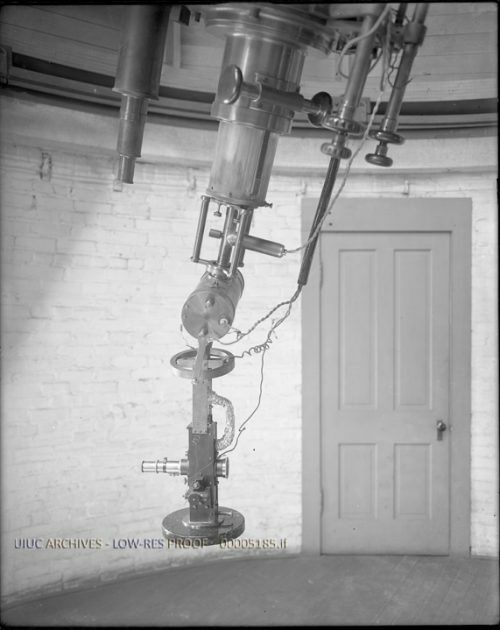 This treasure, which resides in the University of Illinois Observatory, is actually a photoelectric cell from the early 1900s and was part of the photoelectric photometer, an instrument that fit on the end of a telescope that measured the brightness of stars using electricity rather than visual comparisons. This light recording discovery is the distant predecessor to today’s solar panels and digital cameras. Michael Svec (LAS ’88), while a still an undergraduate student in physics, led the push for the formal recognition. He likens his success to serendipity. 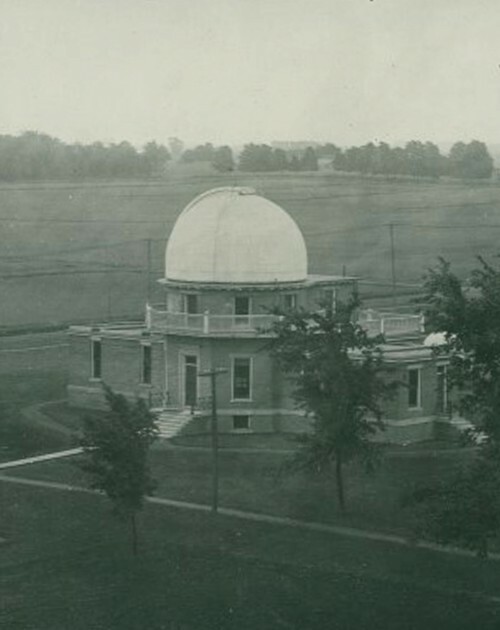 “It was a story that hadn’t been told very well or often enough, and the timing just happened to work,” Svec said as he recalled his time spent obsessively researching the observatory’s past. Even though he is now a professor at Furman University in South Carolina, he published a paper about the observatory just earlier this year. 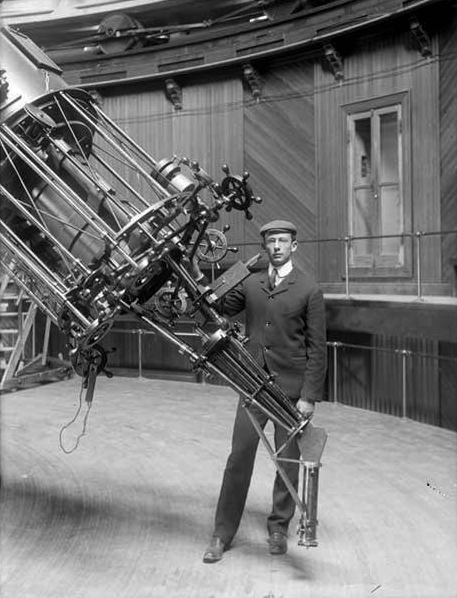 Stebbins left Illinois in 1922 to become the director of the Washburn Observatory at the University of Wisconsin-Madison. 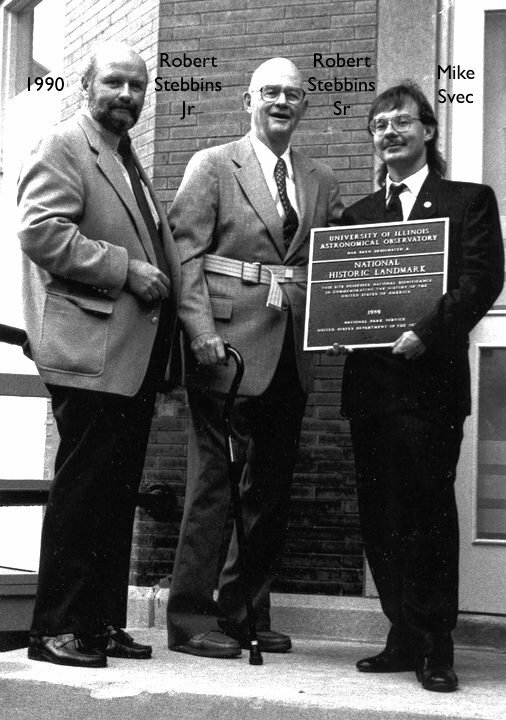 While he took most, if not all, of the materials from the two decades he spent at Illinois as director of the observatory, a later agreement was reached that one of the few existing photoelectric cells from that period would remain on permanent loan to Illinois. 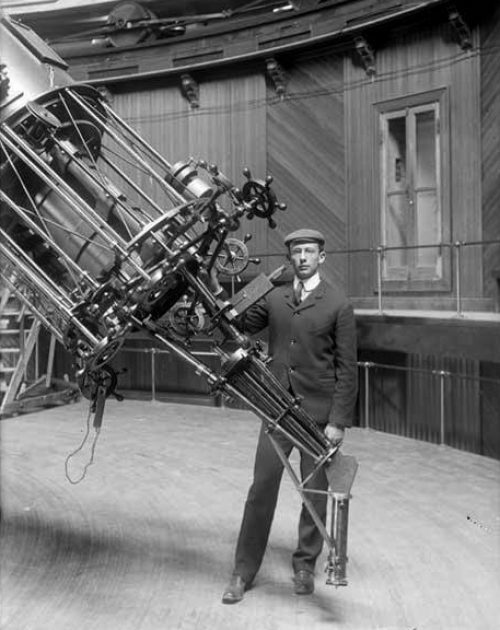 The observatory interior showing the 12-inch telescope rigged with a photometer. 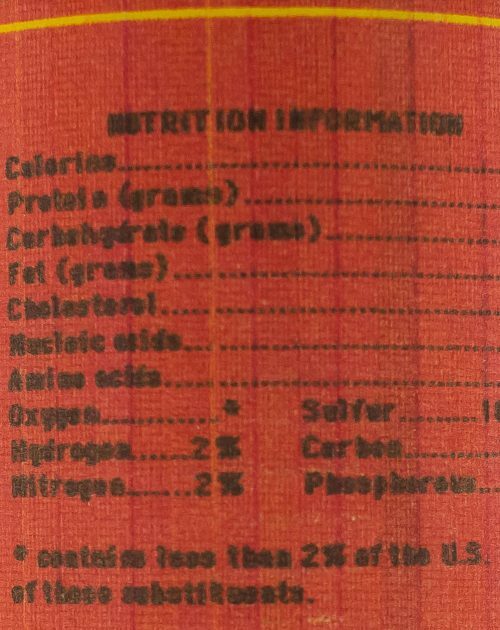 Courtesy of the University of Illinois Archives. Joel Stebbins with his invention: the photoelectric photometer, circa 1925. Courtesy of the Illinois Distributed Museum. 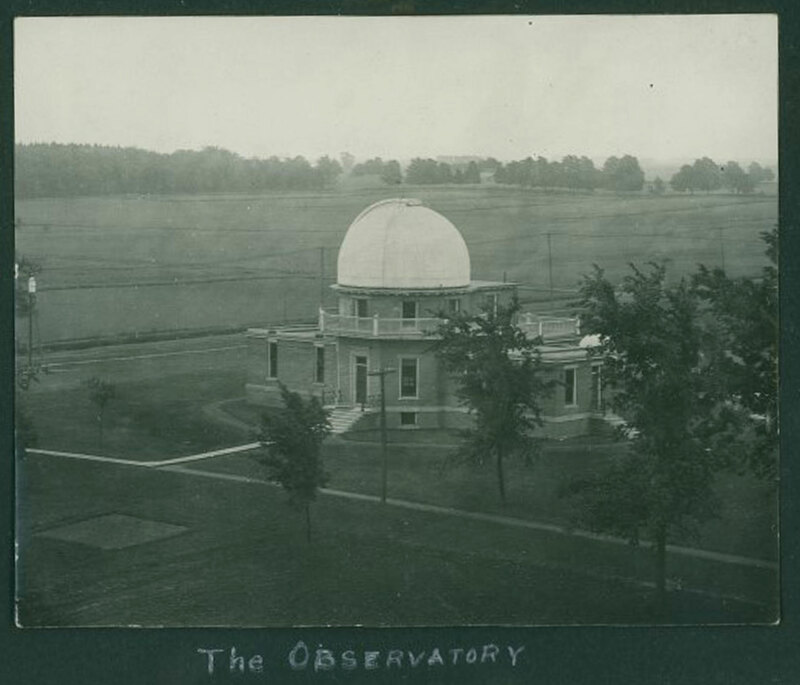 A photo of the observatory from the early 1900s. Courtesy of Bob Zoller, the grandson of Harper F. Zoller, who studied under Stebbins from 1911 to 1913. 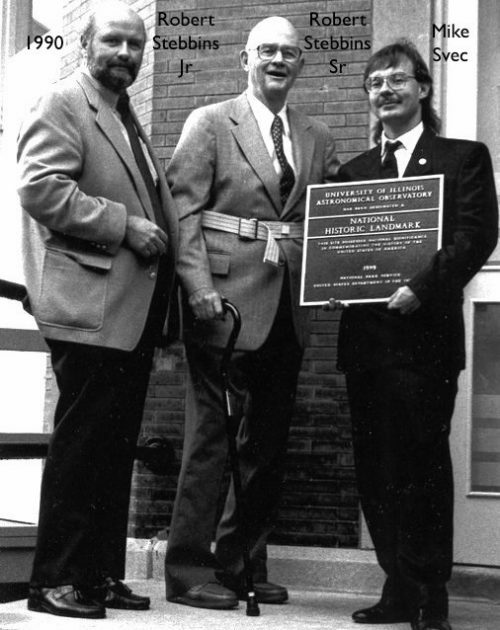 Michael Svec, far right, stands next to the son and grandson of Joel Stebbins, Robert Stebbins senior and junior, respectively, in 1986 when the observatory received its National History Landmark designation. 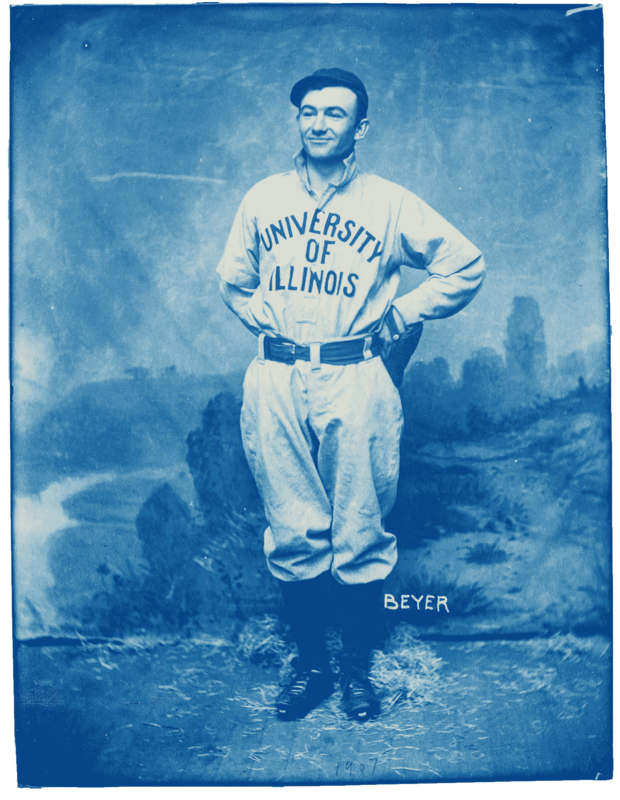 Illinois second baseman, G.F. Beyer, with a slight smile, hands on his hips, and a far-off gaze, stands in front of sagging pastoral backdrop, straw scattered at his feet. 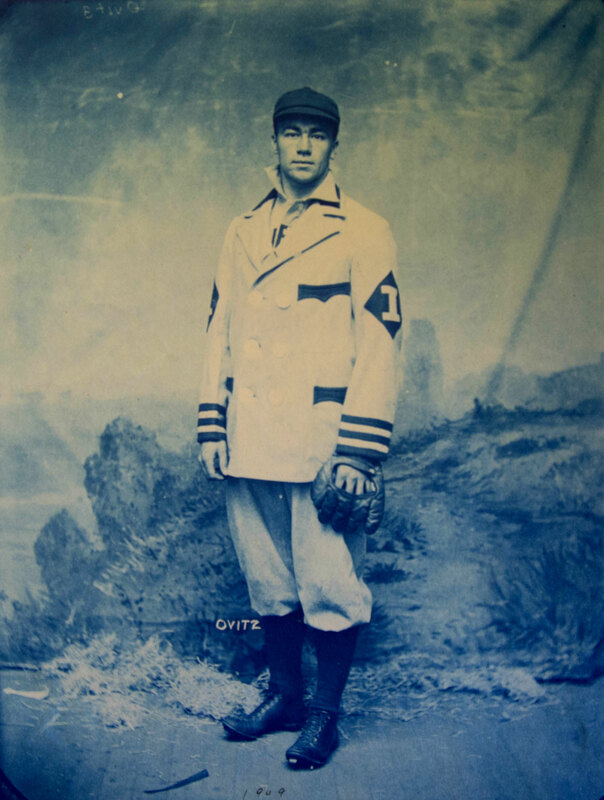 Beyer and his teammates were fortunate to be coached in 1907 by none other than the famed George Huff. 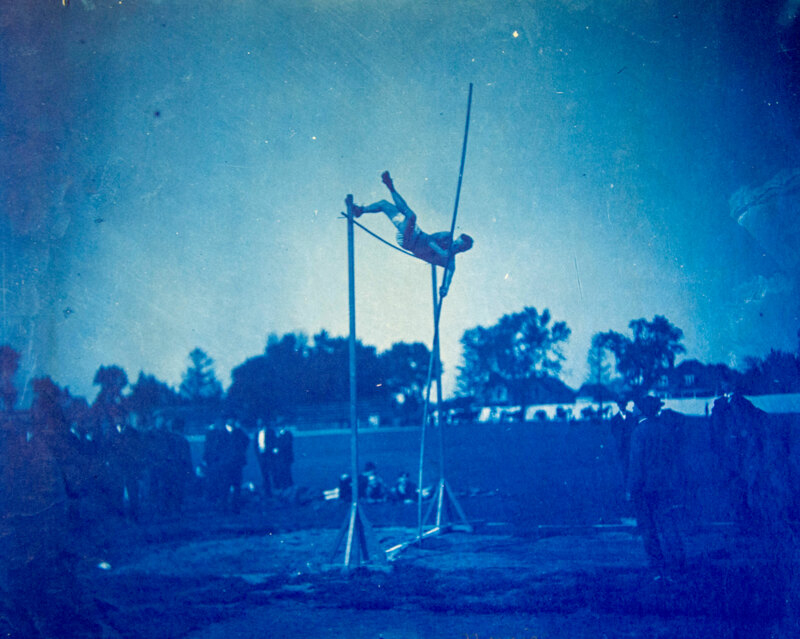 His photograph is one of many bright blue images of athletes tucked in a file in a box in the archives. 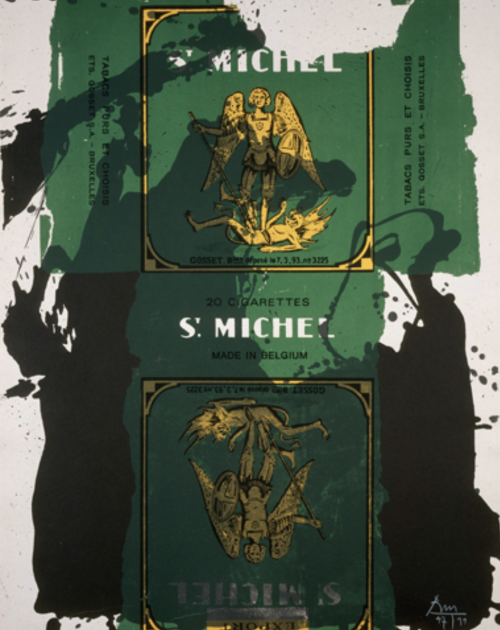 This type of photographic print, known as a cyanotype, is created by painting light-sensitive iron salts onto paper, placing a camera’s negative on top, and then exposing it to a light source. A rinse in water “fixes” the image permanently on the paper. This early method of making photographs dates back to first half of the eighteenth century and fell back into favor at the turn of the twentieth century. Architectural drawings—or what then became blueprints—and photography proofs were created using this process. 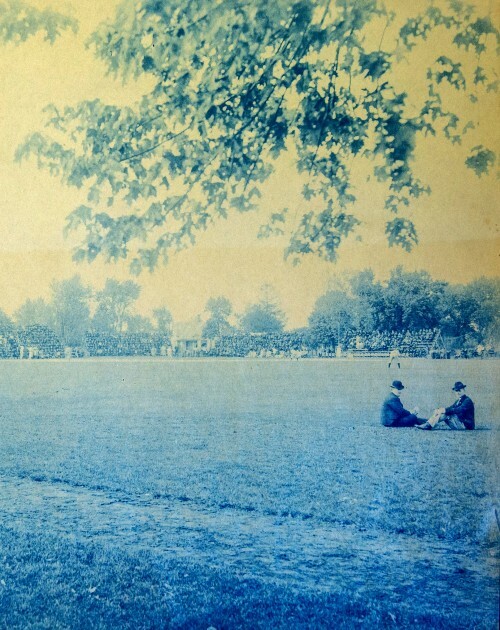 And because cyanotypes were not usually considered a final photographic format, many of them were discarded, said Jennifer Teper, the university library’s head of Preservation Services and the Preservation and Conservation librarian. 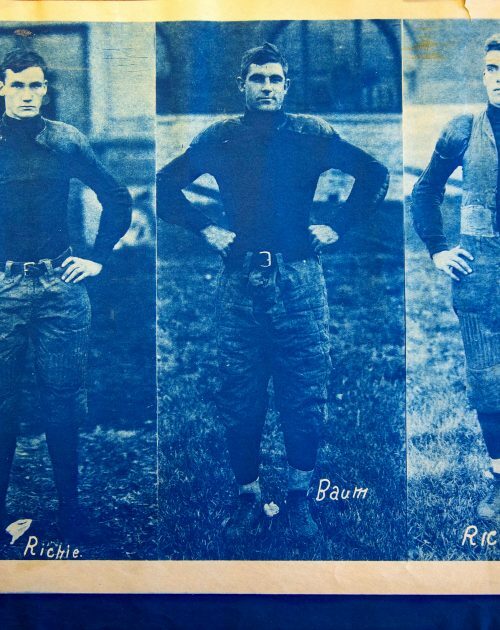 These three players played on the football team in 1908 and 1909. 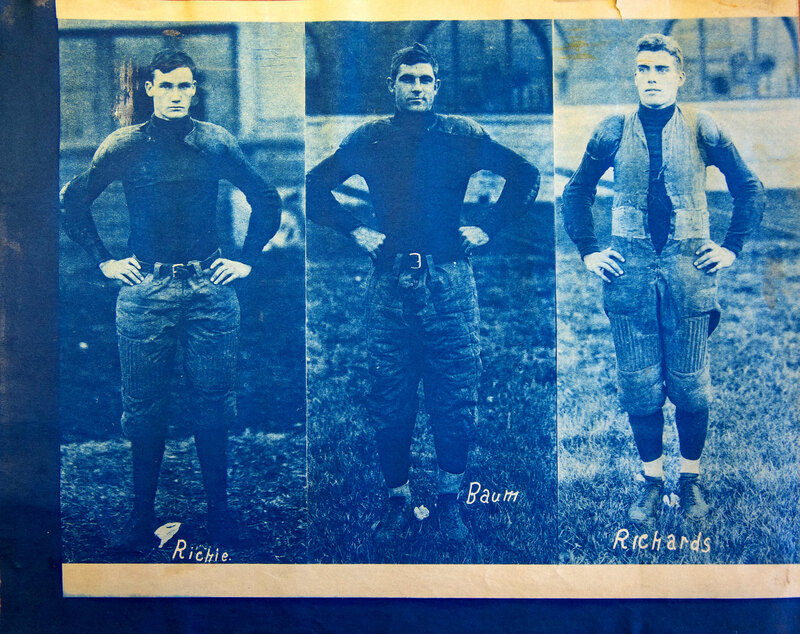 From left, J.K. Ritchie, fullback/halfback; B.F. Baum, left end; J.V. Richards, right end. Ritchie and Richards had positions that were unique to the time they played. Today, according to Kent Brown, of the University of Illinois Athletics, they would be a receiver or tight end, depending on where they lined up. 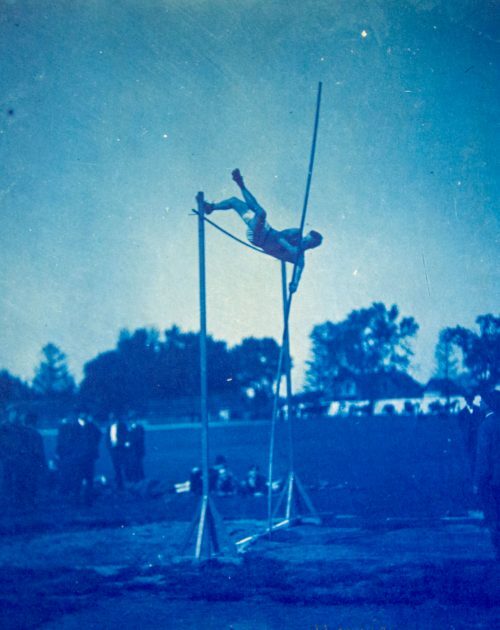 A pole vaulter at a track and field event. E.G. 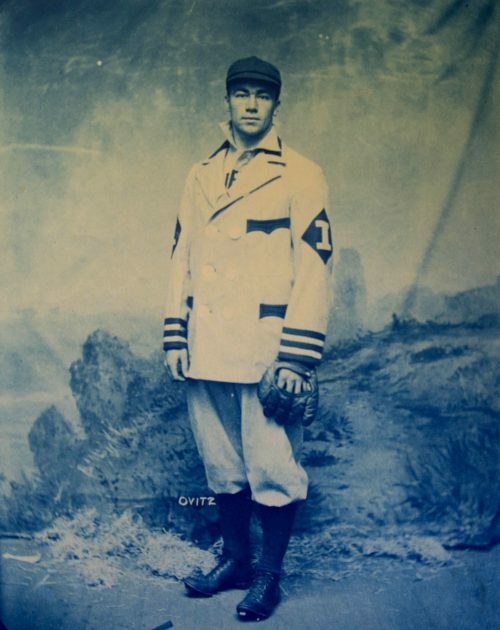 Ovitz was a pitcher for the 1909 team coached by George Huff. 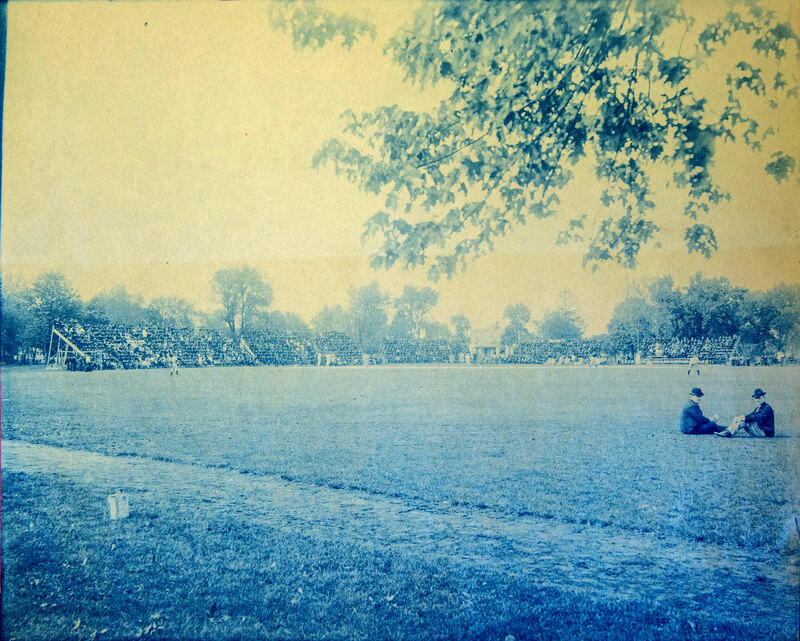 Two spectators watch a baseball game. 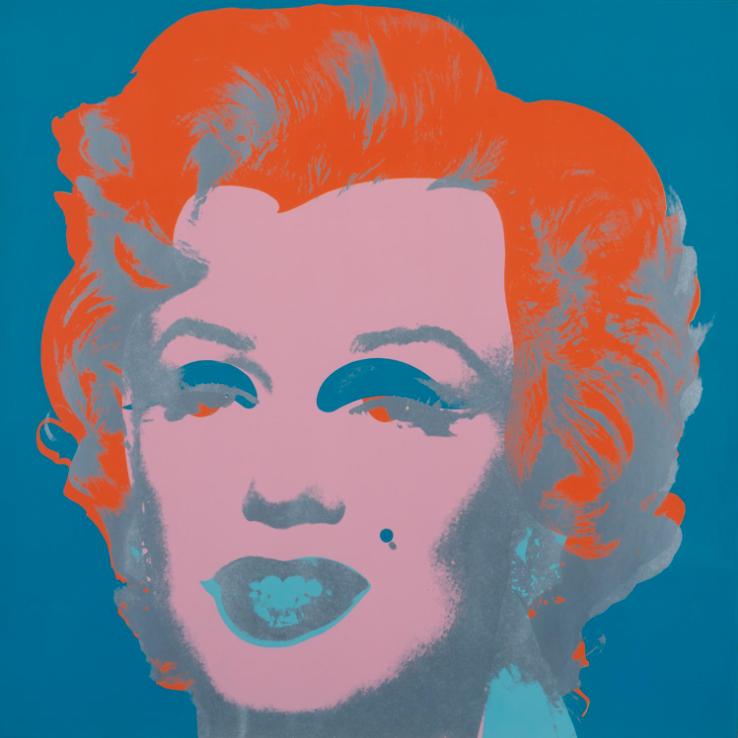 Andy Warhol’s, “Marilyn,” its vivid colors overlaid on a staid portrait of Marilyn Monroe—arguably one of the artist’s most iconic pieces—is considered a highlight of the Krannert Art Museum’s permanent collection. 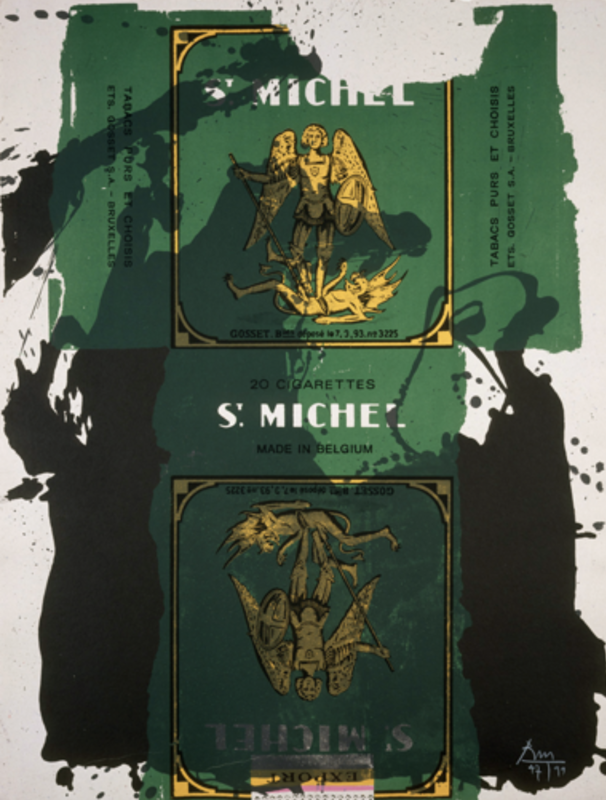 The 1971 print was an important addition when it was acquired in 1983, yet how the museum was able to purchase it is actually a story about university alumnus John N. Chester. 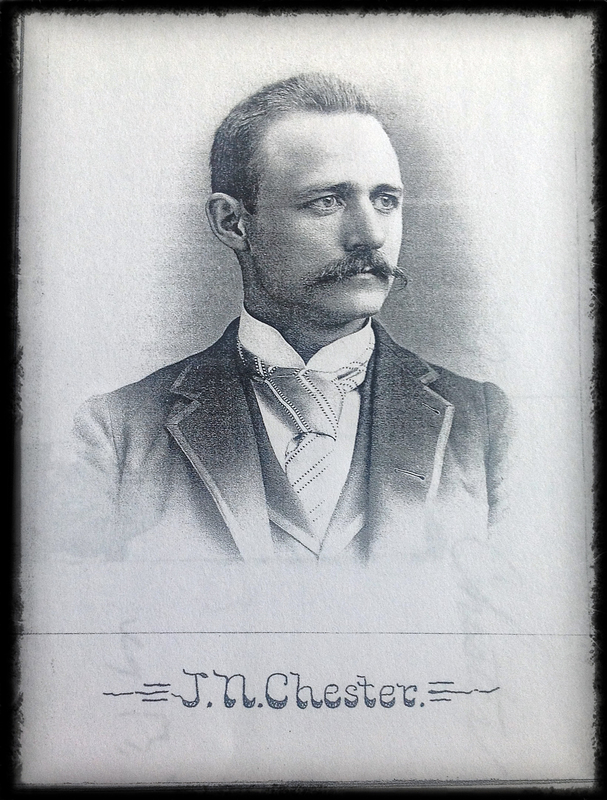 Shortly after Chester was born in 1864 near Columbus, Ohio, he moved with his family to the Champaign area. He graduated from the University of Illinois in 1891 with a degree in civil engineering followed by a master’s in 1909. 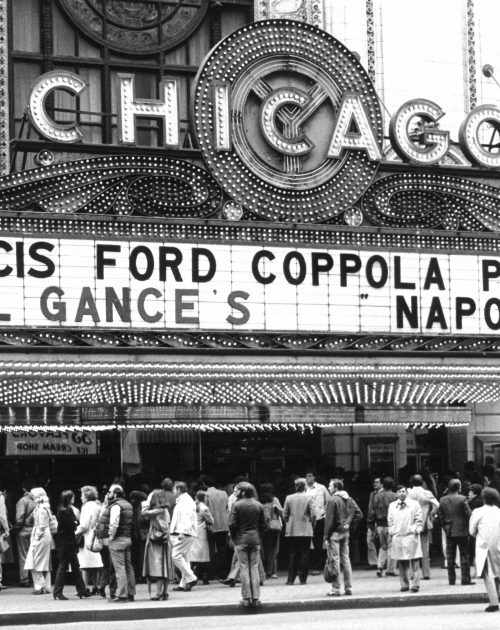 Pittsburgh was where he established his professional career as successful water works engineer, but his love of collecting took him on trips around the world. On one trip, he and his cousin crossed paths with Charles A. Lindbergh and his wife Anne in northernmost Canada. The Lindberghs were completing a record-breaking flight through the Arctic. 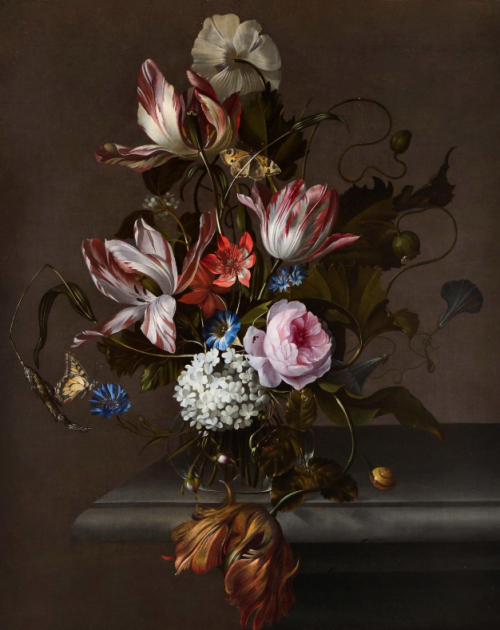 Jon L. Seydl, the director of Krannert Art Museum, believes the museum’s collection has grown in important ways as the result of this significant gift. Over the last almost forty years with the use of the John N. Chester Fund, the museum has been able to purchase 58 works created by dozens of artists, spanning five centuries. Chester served as both president of the Alumni Association and director of the University Foundation and was the first donor to the foundation when he gave a rare, first-edition copy of the “History of the World” by Sir Walter Raleigh. Chester also donated 175 manuscript items to the University Library. 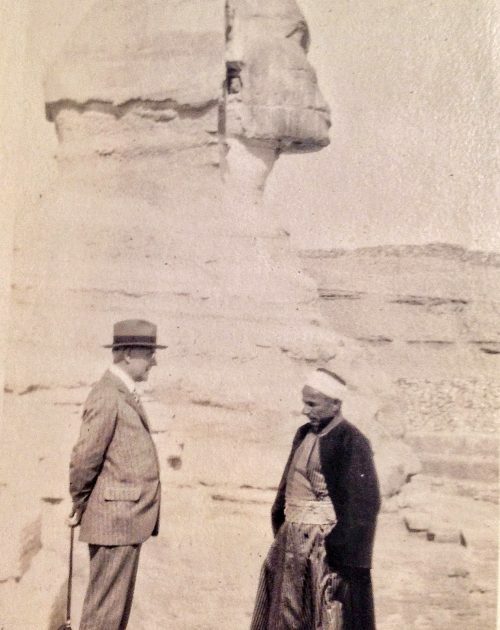 Chester visits Egypt. 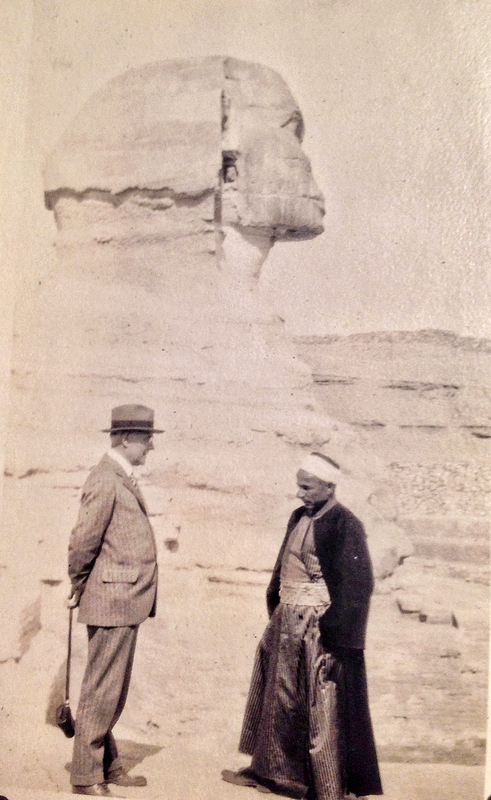 He loved to travel the and collect books, manuscripts, letters, snuff bottles, autographed pictures, paintings, silver, statues, Bedouin daggers and other arms.